The time had come to stop lazing about and start stretching our muscles again. 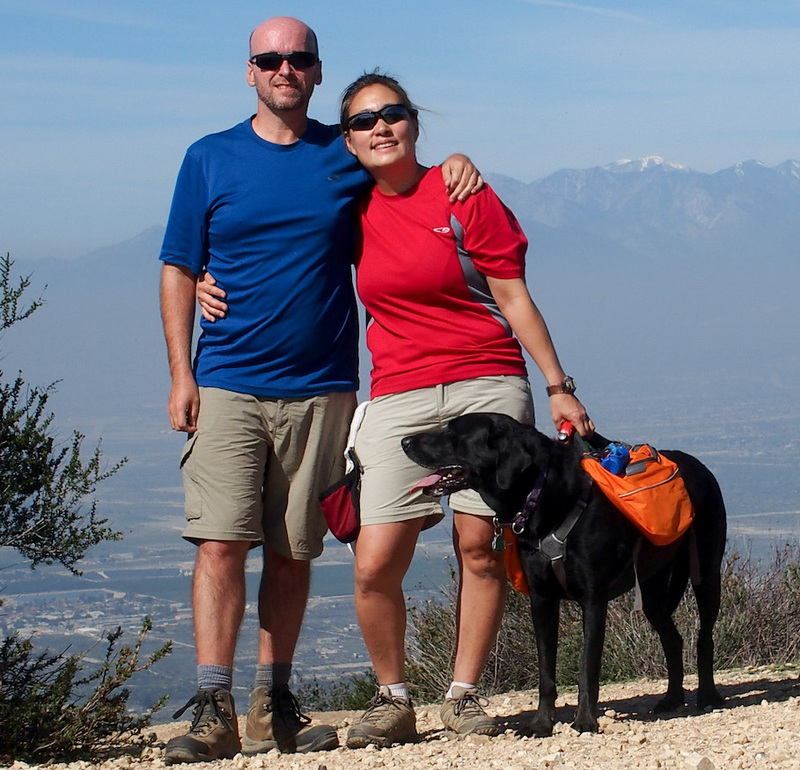 Our next few stops are well-known for fabulous scenery, hikes, and gorgeous weather which meant dusting off our hiking equipment. Opie, of course, was ecstatic at our change of pace. We made it to Cottonwood Arizona about 1/2 hour southwest of Sedona and stayed at Dead Horse State Park. Like most state parks, it has water and electric and a lot of space to roam around, including multiple hiking paths and 3 lagoons (yes, that meant wet dog for the week). 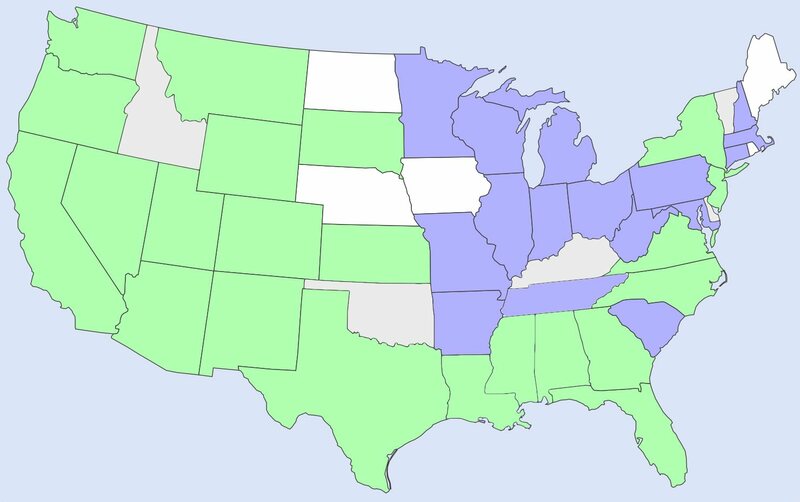 And like most state parks, its completely booked during the weekends. I am thankful that Mike is such a planner and makes reservations often months in advance. We stretched our legs with a popular 4.5 mile easy (i.e. mostly flat) hike around Bell Rock and Courthouse Butte. 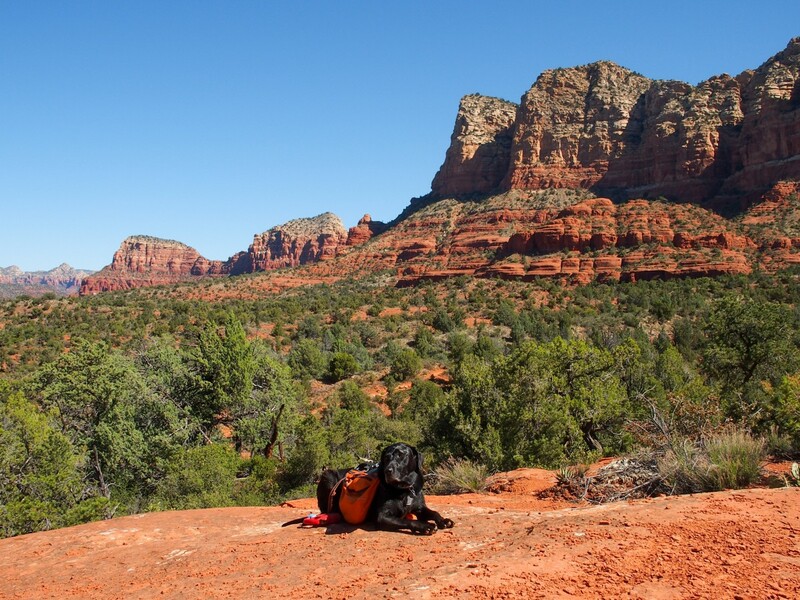 Most hikes in the Sedona area are part of the Coconino National Forest so you either need a Red Rock Pass or America the Beautiful Pass to park at the trailheads. As popular as this area is, we only saw a handful of folks on the Courthouse Butte loop making our first hike very peaceful. Most people seem to head straight to Bell Rock trail which lets you climb and explore parts of Bell Rock. 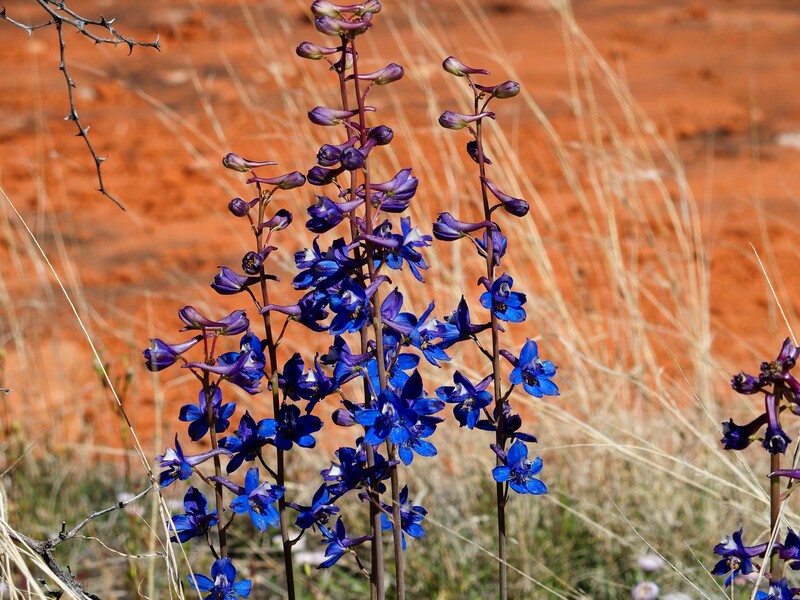 So much of Sedona is red, that these blue flowers along our hike really stood out. One word of warning, most trailhead parking fills up/overflows by noon. Since we hike in the morning it’s not an issue, but if you are a late riser, you will have difficulties finding a spot. 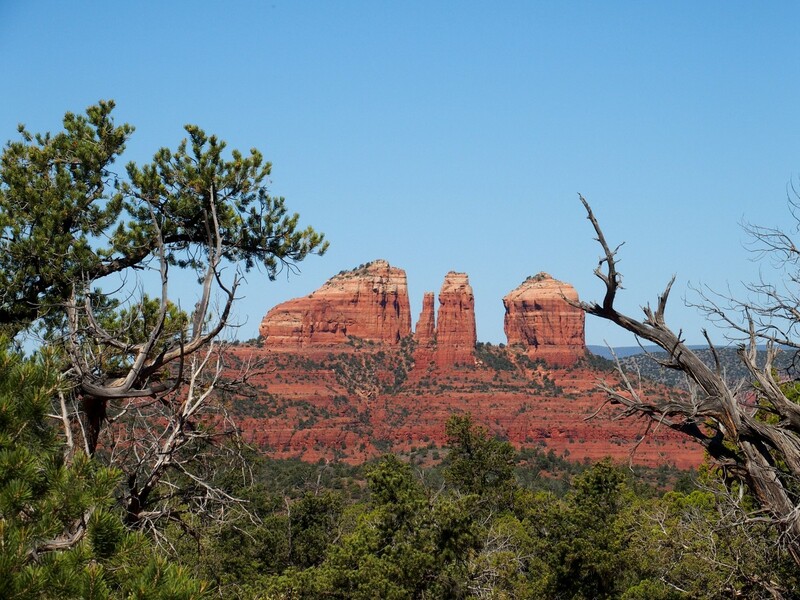 We were told that Red Rock Crossing/Crescent Moon Picnic Area is a beautiful spot to see Cathedral Rock. It’s not a hike, more a easy stroll down Oak Creek and some pretty views. It costs $10 to enter the park (America the Beautiful pass is not accepted here), which is a little steep, but it does have some fabulous views. 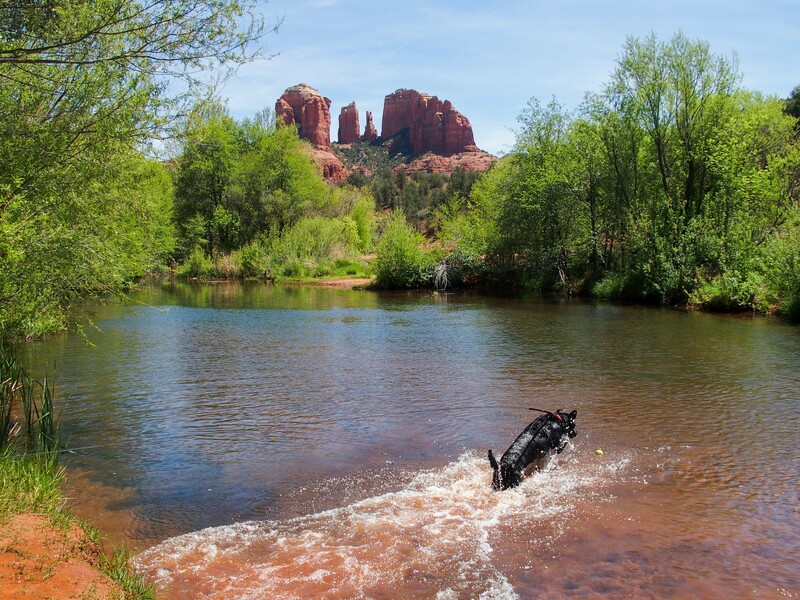 We strolled along the stream, took some pictures of Cathedral Rock, and Opie enjoyed swimming in the water. Further upstream is the site of Buddha Beach where many folks like to meditate and build stacked stones but Opie and I were so occupied with wading in the water that we forgot to explore further. Opie doesn’t appreciate the scenery, he just loves the water! 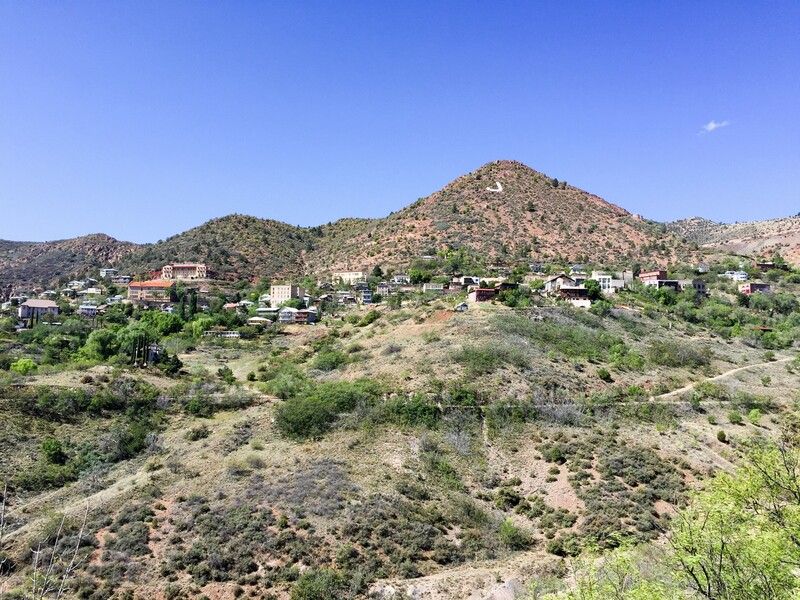 We had a nice adult-only day out to Jerome, AZ while Opie snoozed in. Jerome was a copper mining town and at its boom, had a population of 15,000. 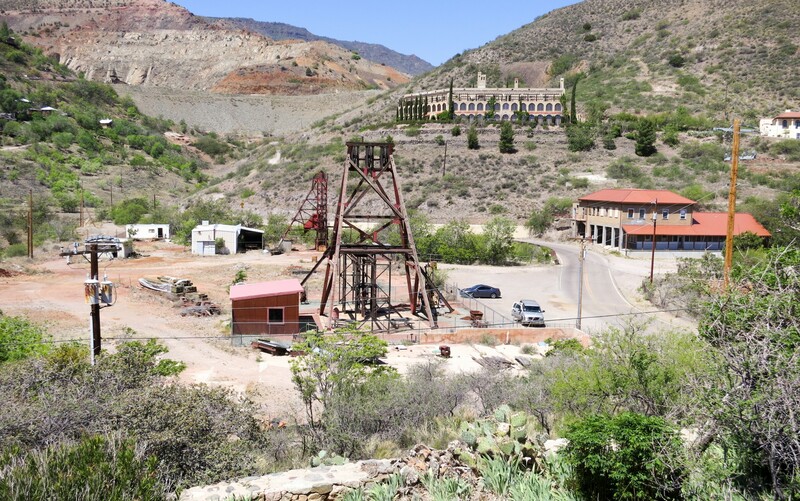 Once the copper market declined after World War II, the mine shut down and people left Jerome, with the exception of a handful of folks (50-100 people) who stuck it out and promoted Jerome as a ghost town. The town was declared a National Historic District in 1967 and now has a booming trade in tourism. Jerome is located literally on the side of a hill where they did all the mining. If you drive/walk to the top of Jerome, you can look down and see each street below since everything is build on a 30 degree incline. We stopped at the Douglas Mansion State Park which has a lot of great information about the town’s history (watch the 30 minute movie they have) and a really cool 3D reconstruction of all the mine shafts underneath the town. The State Park is definitely worth visiting if you are in Jerome. We then took a (very uphill) walk around the town. The town caters to tourists so there are a lot of boutiques and restaurants with a few ruins, historic landmarks, and old mining equipment. For us, it was a nice distraction and the Douglas Mansion State Park was interesting. It’s worth a half-day visit but not something we’d re-visit. We did have an interesting wildlife encounter while at Cottonwood. We were hanging out with some new friends at our campsite and it came time to walk Opie. We all got up and I noticed something strange on our driveway. I looked closely and asked, “Is that a snake?” Then we all looked closely and noticed the stripes and rattles on the end! Apparently a Western Diamondback Rattlesnake decided to sun himself right between Rover and Red. It didn’t seem in a rush to leave so we left Opie in Rover while we gawked and took pictures (from a very safe distance). 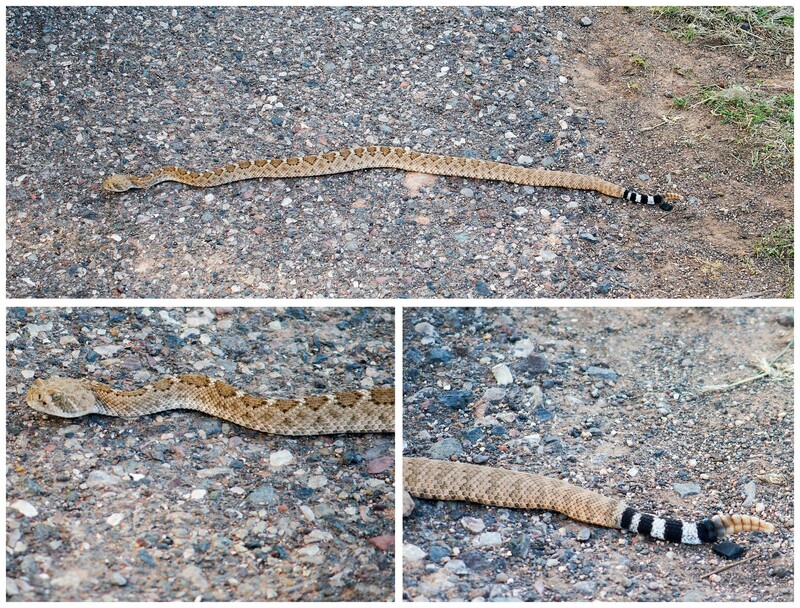 The rattlesnake finally got tired of the paparazzi and headed off into the brush. This was our first rattlesnake sighting and needless to say, we were VERY careful when walking around the campground after that. Nature is gorgeous and amazing but sometimes it’s just downright scary. 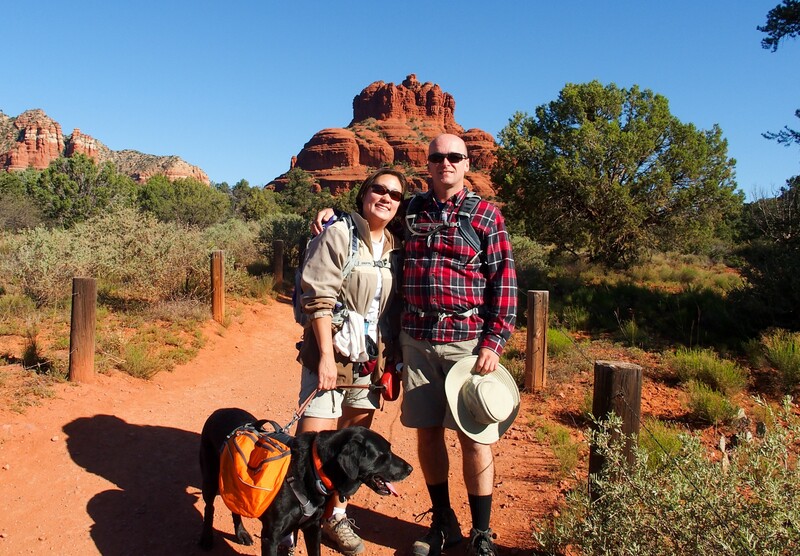 Sedona – A whole new world of hiking! 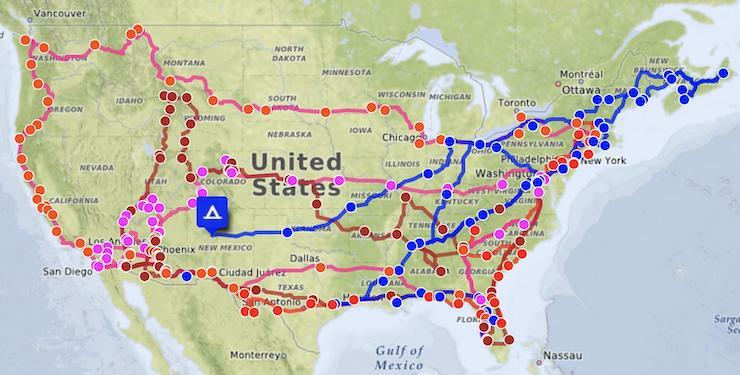 I think those are my favorite photos yet from all your travels. Thanks for sharing. ?